Speakeasy Kava -Your Local Tea Bar For Good Times! At Speakeasy Kava, our tea bar is full of quality ingredients and products for everyone to enjoy. 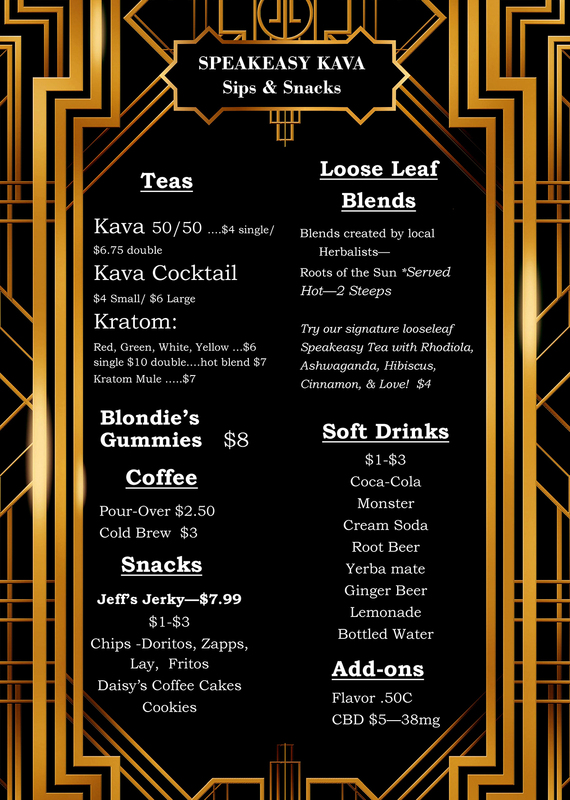 Our recently updated menu consists of three types of kava, four strains of kratom tea, loose-leaf herbal infusions, local organic Lazy Goat pour-over coffee, CBD gummies and more. 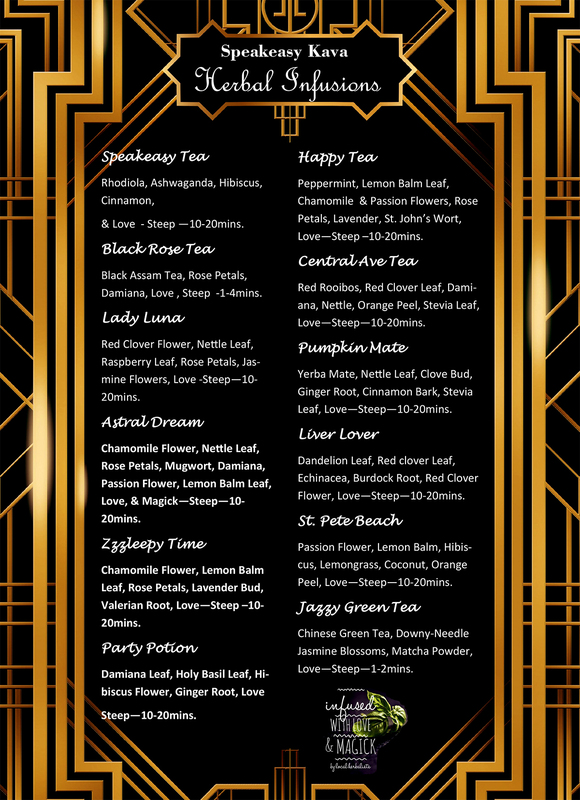 Due to our unique and delicious kava and kratom cocktails, we've made a great reputation for ourselves as cocktail tea bar. Our teatenders can mix and blend our teas with creams and syrups to create one-of-a-kind drinks that stop just short of being magic. Additionally, we're the first tea bar in the area to serve hot loose leaf kratom which tastes amazing and makes you feel great! Visit our Tea Benefits page to learn more about the positive effects of kava and kratom tea. Many of our teas encourage relaxation, help to ease anxiety or assist with focus and energy for work and school studies. If you're new to Speakeasy Kava, your first shell of kava is on us! We look forward to sharing some of our great-tasting drinks with you soon! Many of the drinks served at Speakeasy Kava are from local vendors in the Tampabay area that we've happily teamed up with including Roots of the Sun and Lazy Goat coffee to name just two. Community partnerships are important to us and reflected in our products and relationships. If you see a drink or a snack item on our menu that you have a question about, please feel free to reach out to us. You can send us an email at speakeasykava@gmail.com or visit our Facebook page and send us a direct message with your question. Open 24/7 - 365 days a year - Speakeasy Kava is a tea bar dedicated to serving great products, providing excellent service and always creating an environment of positive vibes for all of our customers.